APM tools can't provide complete visibility into your complex applications. Flip through this eBook and find out how enterprise performance analytics founded on wire data can help you rise above blind spots. Ever tried to map out the application delivery chain? No, because that's exhausting—which is why we did it for you. Watch this 5 minute video to learn about interdependencies, blind spots, and how best to monitor your apps! View the infographic to see why ExtraHop beats Riverbed in ease-of-use, scalability, enterprise visibility, and more. 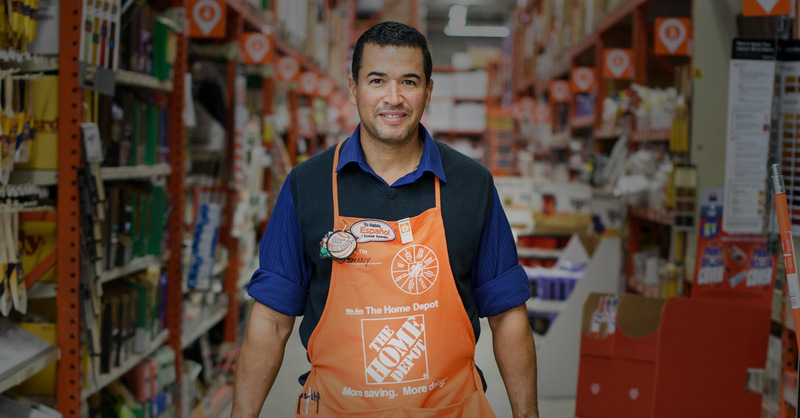 Learn how The Home Depot uses ExtraHop to deliver a seamless and secure experience for customers and associates thanks to actionable, real-time insight across their widely distributed enterprise. Learn how ExtraHop integrates with ServiceNow to help you automatically keep your CMDB up to date, streamline workflows, increase security, and speed up incident response by hours or even days. APM tools bring valuable insights about application code but leave you blind to the rest of your application delivery chain, leading to friction, silos, and a higher potential for unhappy customers. Read the blog to learn how wire data complements APM for complete visibility from core to edge to cloud! Silos between NetOps and SecOps are par for the course, but as the enterprise expands and grows increasingly complex, these teams will need to start finding ways to collaborate. Read on to learn how ExtraHop and Ixia are making it easier to break down these silos in your business. ExtraHop is a Leader in Gartner's 2019 Magic Quadrant for Network Performance Monitoring and Diagnostics, but our unique approach goes far beyond NPMD. Learn why ExtraHop believes our leadership in NPMD is only one example of how we help our customers rise above the noise to protect and accelerate their business. View the infographic to see how ExtraHop fills visibility gaps left by APM tools to help teams like yours optimize cloud infrastructures, microservices, DNS, Active Directory, and more for a better user experience with your revenue-generating applications. Learn how GTA Travel uses ExtraHop to deliver high quality travel experiences to millions of global customers despite a complicated mix of custom-built and commercial off-the-shelf applications. How does Mitchell International maintain their place at the top of the automotive industry by delivering secure, high performance software for their Fortune 500 customers? Read the case study to learn why Mitchell relies on ExtraHop for NetOps and Security! Splunk and ExtraHop weigh in on the benefits of adding wire data to logs to fill critical visibility gaps. Learn why wire data is the ultimate source of truth for security and IT! What's New in ExtraHop 7.4 and Reveal(x)? ExtraHop 7.4 gives you powerful detection grouping and filtering capabilities as well as even easier access to the records you need. Let's talk about all the new features of this release! What are containers? What are microservices? What major benefit do many companies fail to take advantage of when they use microservices? Watch the video to find out! Learn what ExtraHop customers told IDC about the staggering ROI they're seeing from real-time analytics and network traffic analysis for the enterprise. How does one of the biggest gift card distributors in the world solve weak cipher suites, network and application performance, and more with ExtraHop? Read on to learn their story! Data growth and public cloud adoption are rapidly forcing the hub and spoke (aka wagon wheel) model out of style. Read the blog to learn how traditional network design compares to hybrid WAN or full mesh models. Check out this video of Rasika Nayanajith, Network Team Leader at La Trobe University, talking about how he and his team use ExtraHop to optimize and secure their network.